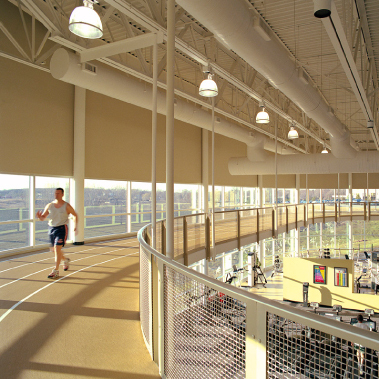 Following an eight-year relationship which included three other fitness center renovations and expansions, DKA’s principals were hired and worked closely with the Owners of Elite Clubs to add to and renovate a vacant severely flood damaged one story tennis court facility into a two-story fitness and racquet club. An entry lobby, floors, stairs and elevator were added in order to transform the tennis-only facility into a fitness center that includes all of the functions required with the Elite Club’s brand. The project exceeded its membership goals during the first year and has received notoriety from local Milwaukee newspapers as a project that has contributed to the revitalization of the neighborhood.